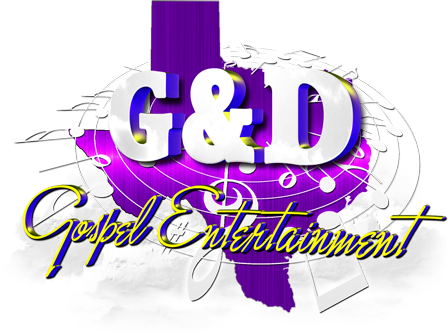 G & D Gospel Entertainment is dedicated to showcasing the best gospel events in Dallas, Texas. We believe in bringing the best talent and events to the metroplex area of Dallas. G & D Gospel Entertainment is committed to serving God, the family and the community by lifting up the name of Jesus through music. Promoting the Gospel of Jesus through music ministry is another avenue of increasing the Kingdom of God. Wherever you may be in your spiritual walk, at G & D Gospel Entertainment, we pray that you will find a new path that will elevate you in the Lord. Through our concerts and events we pray that you will be strengthen and find the joy in Jesus that will inspire you to continue with Him. Loving what God has chosen for us to do - PROMOTE!